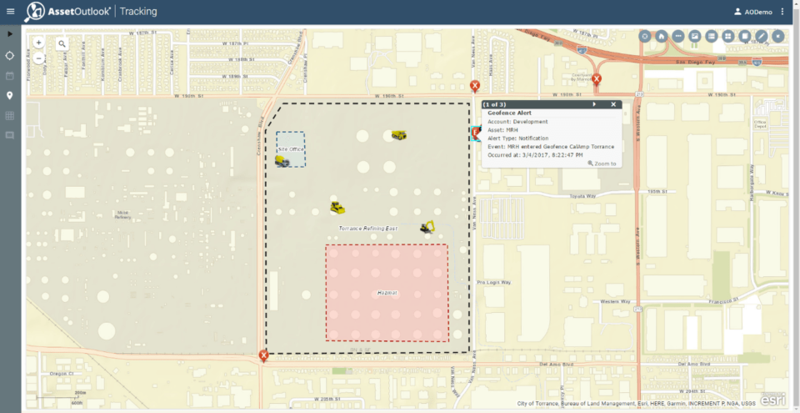 With asset telematics, construction companies can create virtual boundaries or landmark areas (see graphic below for an example) to manage and protect fleets over large areas or across multiple sites. Typical landmarks include jobsites and unauthorized or off-limit locations. The dashboard map then becomes a project or fleet manager’s eyes and ears in the field – even if they’re onsite in the trailer. She can see what pieces of equipment are working in certain areas. With these landmarks in place, defined alerts provide real-time notifications when exceptions occur. This quick awareness offers time to react based on the situation. For example, one company creates a perimeter around the jobsite so a proximity alert sends when a piece of equipment is nearing the site. The information reduces crew idle time when waiting for the delivery. Data collection from these landmarks streamline operations by showing information such as engine hour utilization and idle times. It helps managers schedule maintenance and right size their fleets. One rental customer uses the landmark reports to bill customers based on the amount of time the ignition is on within the virtual boundary. Layer your asset telematics system with the LoJack® Stolen Asset Recovery system for extra protection after a theft has occurred. Theft remains a huge concern for the construction industry given the expense of having to replace it. Stolen heavy equipment with a hidden system installed, such as the LoJack® Stolen Asset Recovery system, increases the chance of recovery. Locating equipment quickly also reduces the risk of damage from further movement or a chop shop. Read our California recovery stories here and other U.S. recoveries here. By pairing telematics and a recovery solution, contractors and rental companies get comprehensive protection from various risks in a cost effective way, while gaining additional productivity benefits. 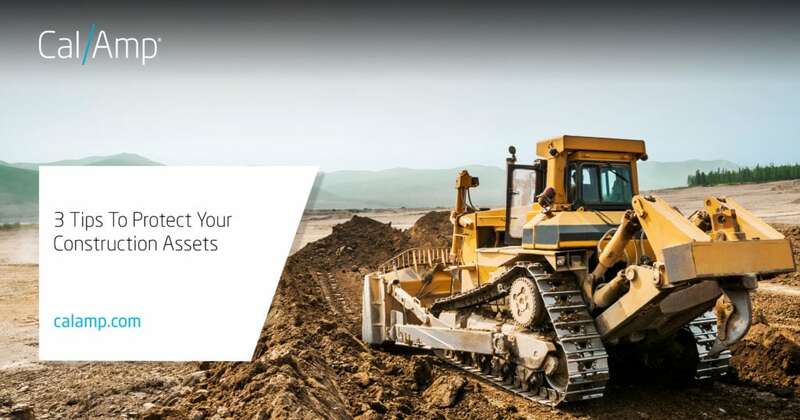 If you would like more information about how to improve your asset protection strategy, visit our Construction solution page here.